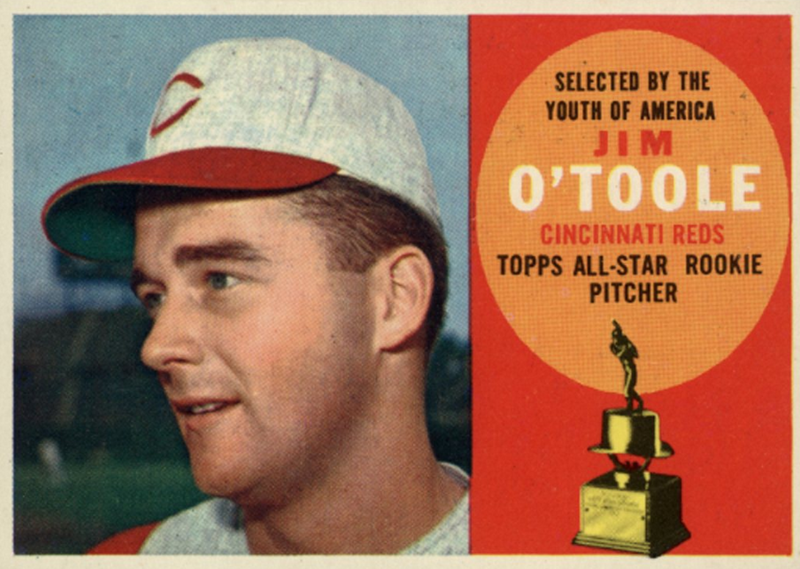 This article profiles the first Topps All-Star Rookie Team, selected and announced in late 1959. 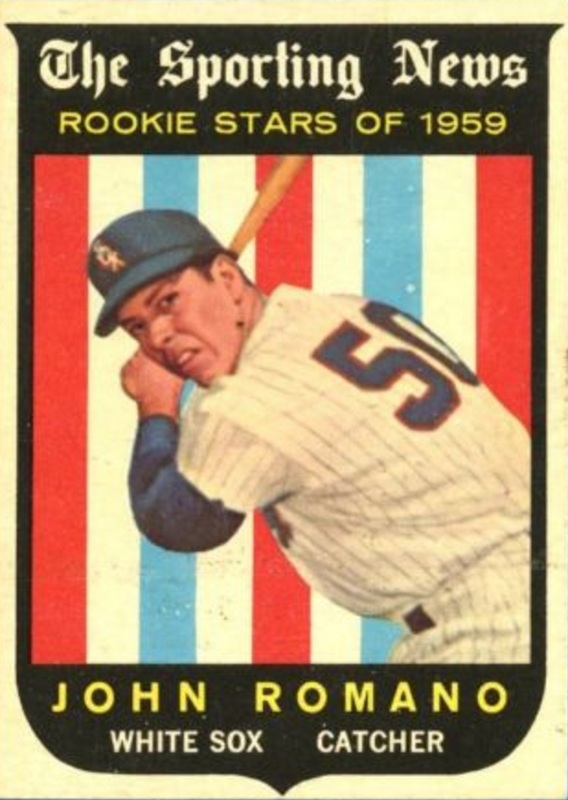 I've researched Topps subsets and on-card advertising recently, but hadn't found an easy reference for the 1959 "rookies," especially the subset of rookie trophies that first appeared on 1960 cards. 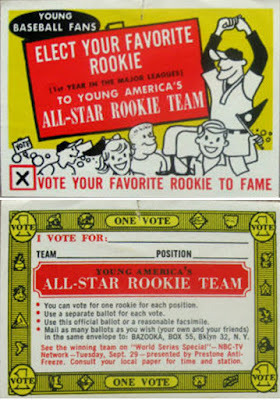 Topps appears to have promoted it using both Topps Chewing Gum and Bazooka brands, first referring to it as "Young America's All-Star Rookie Team" on ballots. The ballot's fine print offers key details: "See the winning team on 'World Series Special'--NBC-TV Network--Tuesday, Sept. 29." September 29 was the expected eve of 1959's first World Series game, so All-Rookie Team balloting drove attention toward NBC's broadcast, not to cards per se. 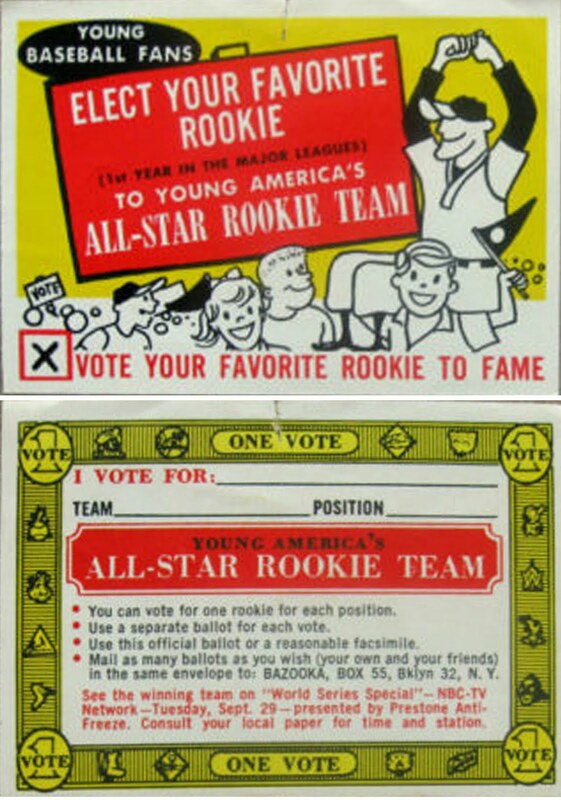 I assume All-Star Rookie balloting took place late in the season to focus collectors on that date. 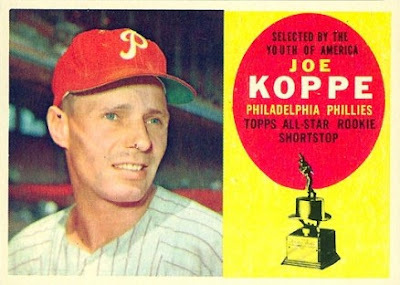 It's possible Topps targeted balloting to big media markets or teams still in the pennant race (LA, Milwaukee, SF, Chicago, Cleveland, NY) to capture maximum interest. 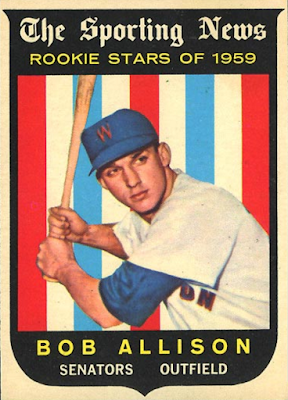 Some of the Topps All-Star Rookie Team also appeared on 1959 cards. 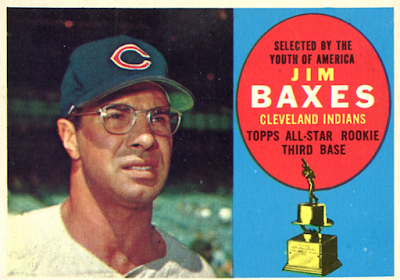 Here's the full list, as shown in both the year of election and with their 1960 Topps All-Star Rookie trophy, their first year for on-card trophies. 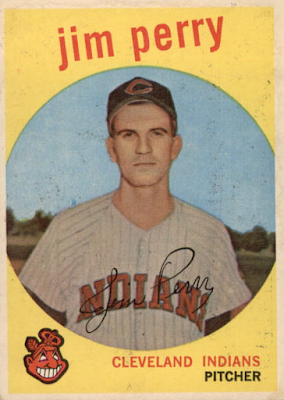 Johnny won't be the first to swap teams for 1960 and won't be the last guy from Cleveland. 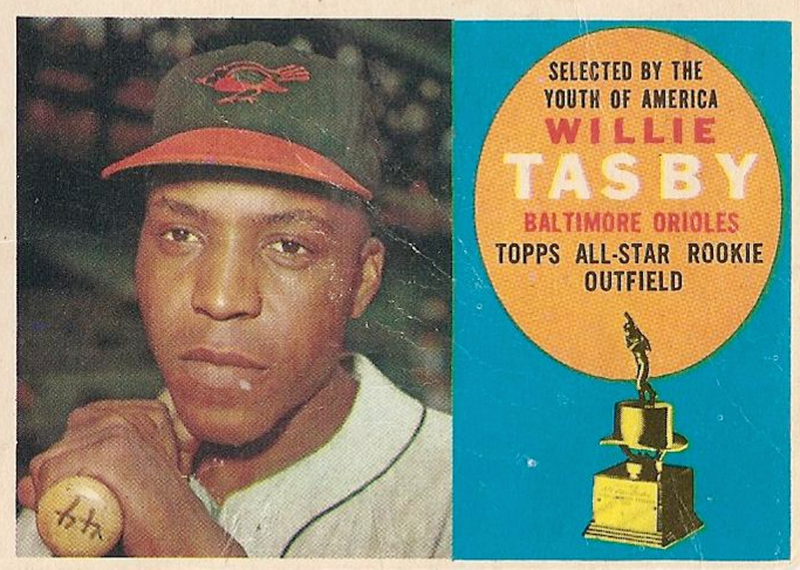 Willie won the 1959 NL Rookie of the Year award after a torrid second half. 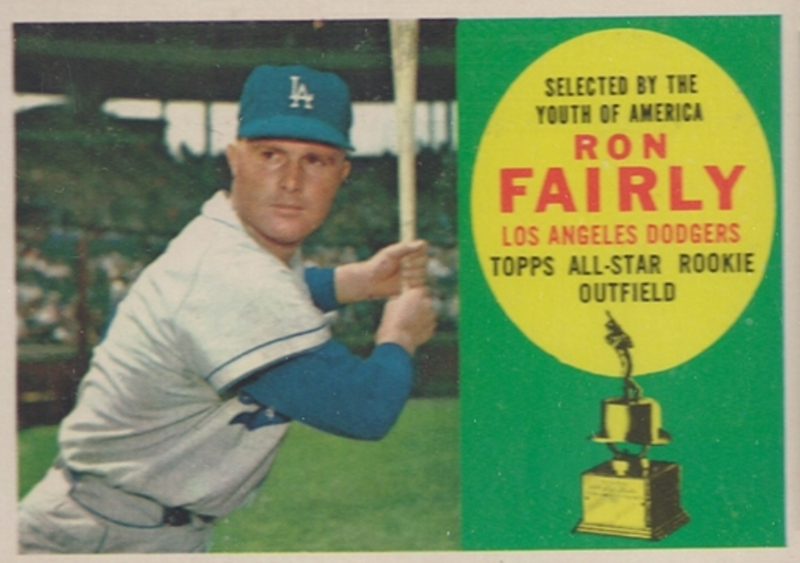 He appeared in just 52 games, the fewest ever by a non-pitcher ROY winner, but served a key role in keeping SF close to LA and Milwaukee through the season's final week. McCovey debuted too late for a 1959 Topps card, but thanks to the late-season nature of their All-Rookie Team, became a shoo-in at first base. 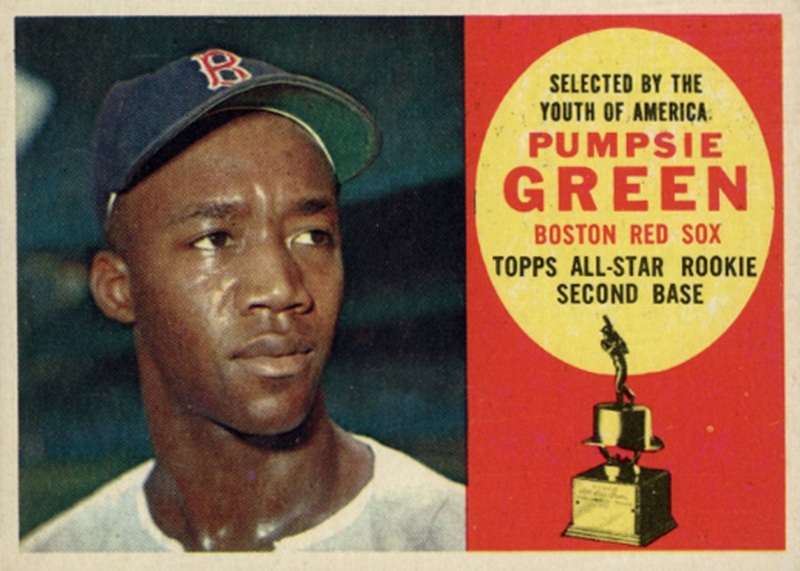 Pumpsie Green's best-known as the guy who integrated MLB's last team to integrate, the Boston Red Sox, when he took the field on July 21, 1959. Like McCovey, his debut came too late for the 1959 set, which would've been printed by that time. Jim played enough in LA to garner a high-numbered 1959 card, but switched teams before the year was out, becoming our second Cleveland player with a 1960 trophy. 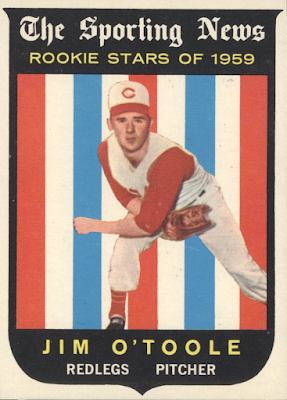 Jim never returned to the bigs after 1959, so these are his only two Topps cards. 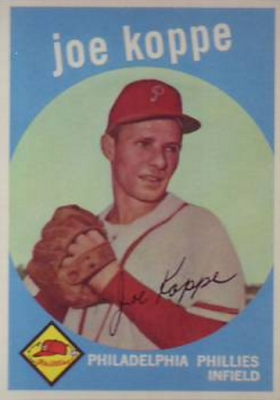 Koppe's striking a pitching pose on his 1959 card, but played infield throughout his career. Bob won 1959's AL Rookie of the Year, finishing just ahead of fellow All-Star Rookie Jim Perry. 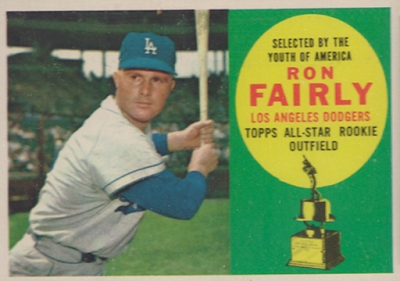 Ron's two career All-Star appearances were for Canadian teams (Montreal 1973, Toronto 1978). 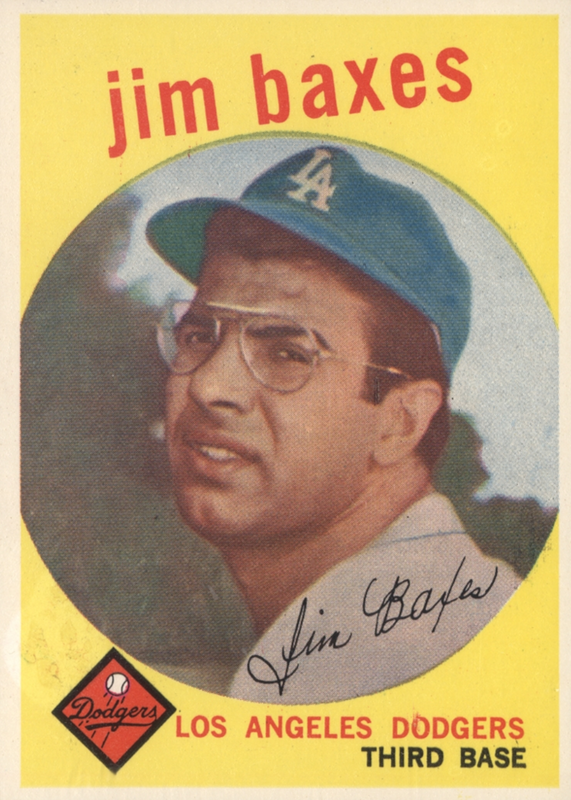 Trivia bonus! 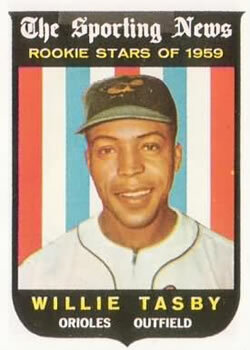 Willie moved to Boston early in 1960 and enjoyed the best hitting of his career. 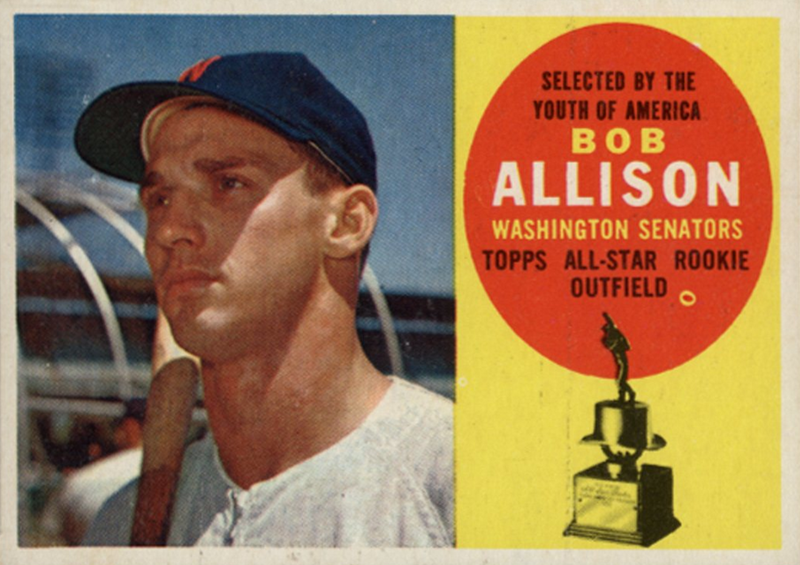 Washington selected him in their 1961 expansion draft, but moved him to Cleveland in 1962, ultimately splitting his six year career across four AL franchises. 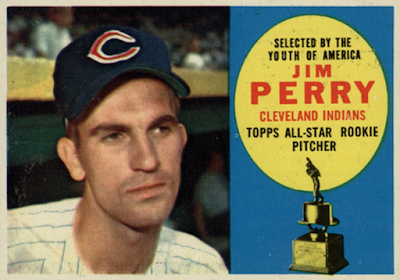 Not just any right-handed pitcher, this is the elder brother of HOF Gaylord Perry and was almost as good, winning 215 career games. 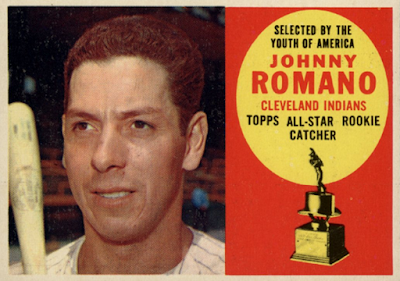 Thanks to team changes by Johnny Romano and Jim Baxes, Perry was Cleveland's third representative on the ten-man Topps All-Star Rookie team. Jim is just one of several guys with Topps rookie cards before their Topps All-Star Rookie card. 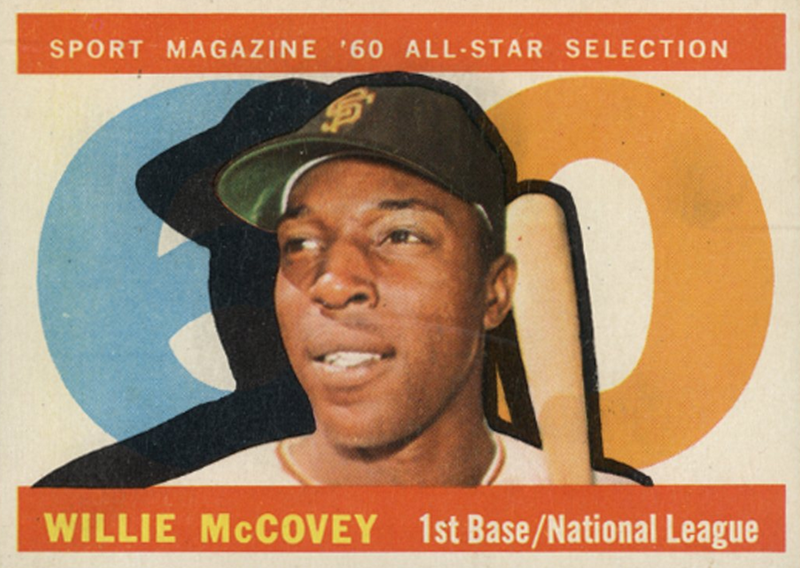 Thanks to the breadth of The Sporting News Rookie Stars subset (1959 Topps #116-146) and high series additions (Jim Baxes, Jim Perry, Joe Koppe), the 1960 Topps All-Star Rookies mark the first card for only two guys, Pumpsie Green and Willie McCovey. Topps All-Star Rookies weren't the only rookies in 1960. SPORT Magazine also sponsored a rookie subset, with this Yaz RC its best known, but the tradition of Topps All-Star Rookie trophies won out thereafter. 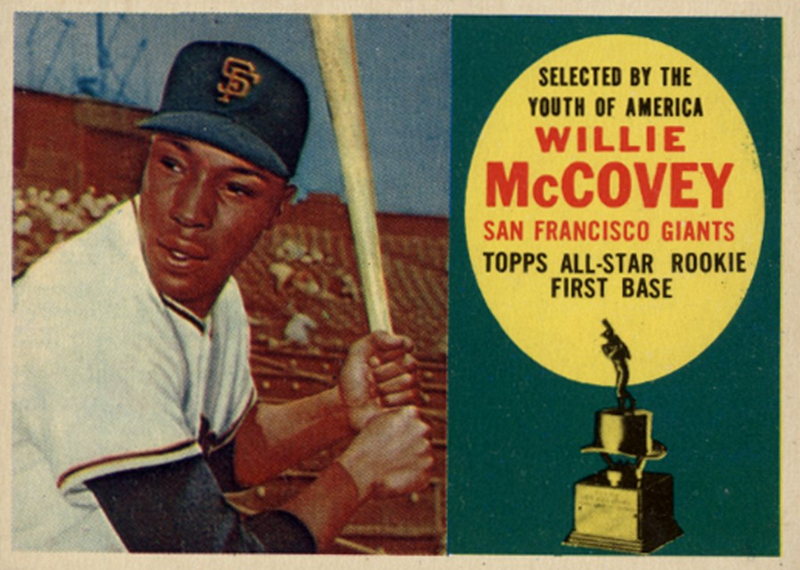 If 1960 Topps #316 wasn't enough McCovey, he picked up a second card in 1960's high series as a SPORT Magazine All-Star Selection. 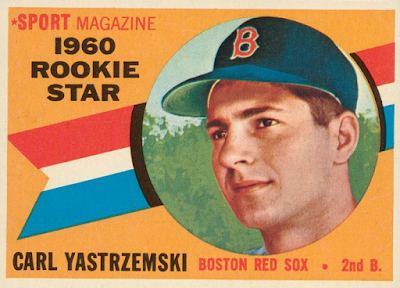 Note the 1960 Topps All-Star subset was chosen by SPORT Magazine, not MLB itself. Willie didn't appear on either roster for the 1960 MLB All-Star games (July 11 and July 13). 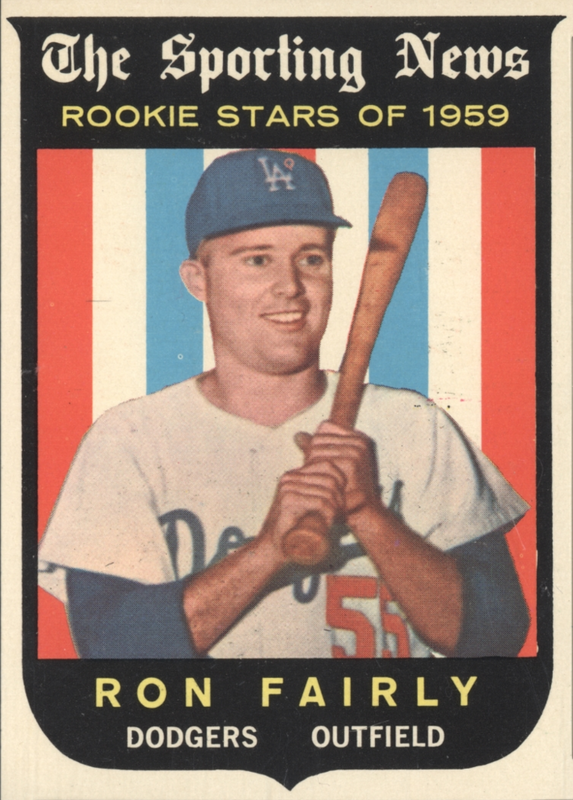 Trivia double bonus!